By Miriam Rasch, October 11, 2018 at 10:11 am . 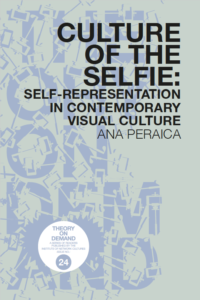 Culture of the Selfie: Self-Representation in Contemporary Visual Culture by Ana Peraica was published in the Theory on Demand series in 2017. It can be downloaded for free in both pdf and epub format, and ordered as print-on-demand from Lulu. All information and links can be found here.